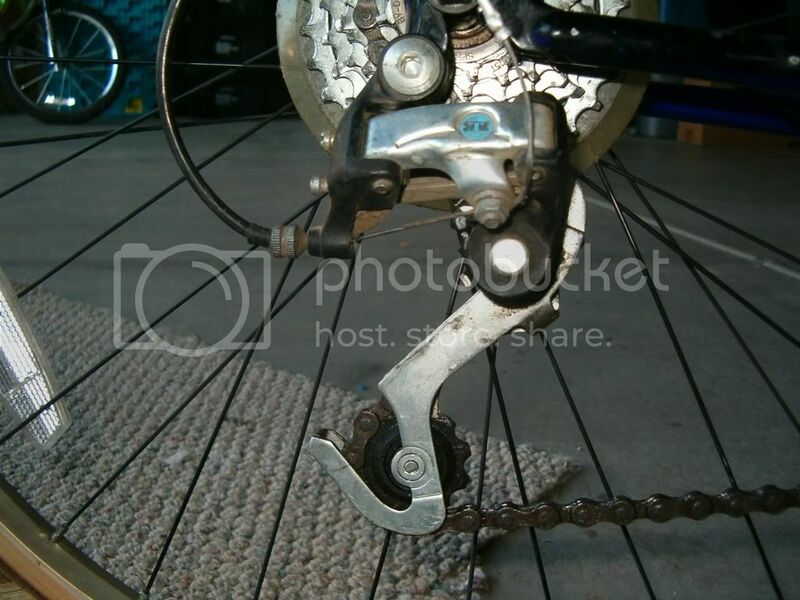 Anyone know what type of derailleur this is or what brand. It looks like there's a "T" on the logo. 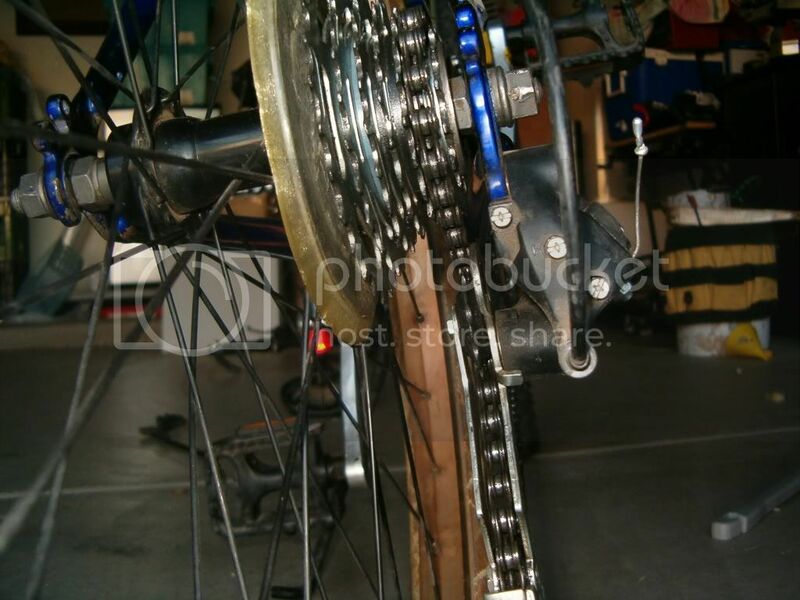 The front Derailleur is a Suntour XR300. This is a work in progress so mind the grime and dirt. Suntour is a brand that has gone out of business. I'm not sure of the pull ratio, and if you will be able to use any modern indexed shifter. I think you'll have more luck in C&V. 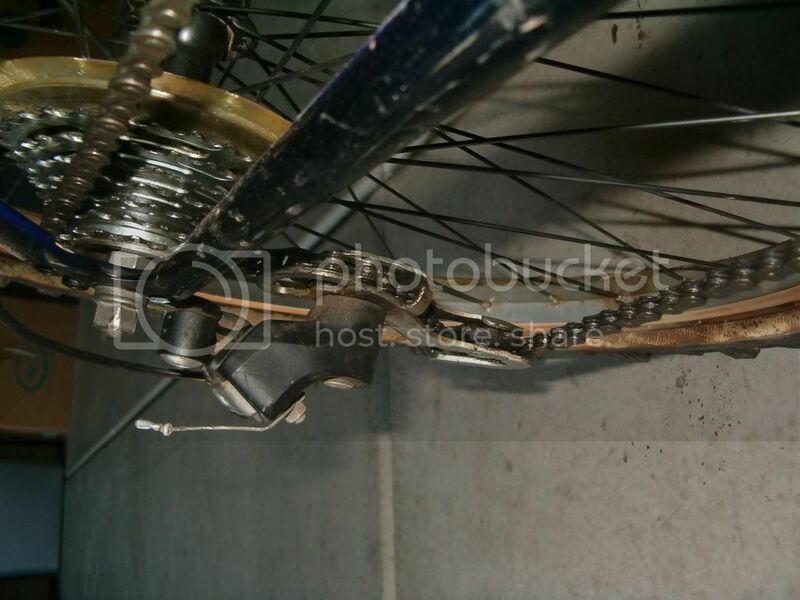 Sooo are you saying that the rear derailleur is Suntour also? Cause I'm looking for an actual answer here. Last edited by sandman007; 09-25-08 at 08:25 AM.